I was actually at a lost when I heard that Cross Way Bay Hong Kong Roasted Meat has decided to pull down its shutter and moved to Johor Bahru, Malaysia. 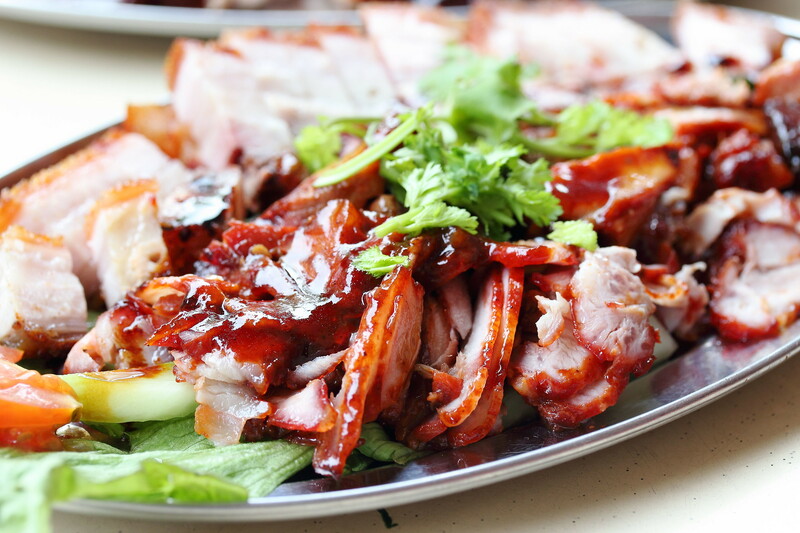 However the spark was re-ignited when Tony Tee posted on his facebook that he has discovered Siang Yuen Traditional Roasts along East Coast Road that sells pretty good roasted duck. So it was a weekend afternoon meetup with Jacob and Chloe who has returned from Melbourne with the rest of the foodies (Maureen, Chuan Kai, Shi Ting, Leroy and Karen). After a unsatisfying brunch, we made a detour to Siang Yuen Traditional Roasts to check out the stall. We decided to order a bit of everything from the stall. 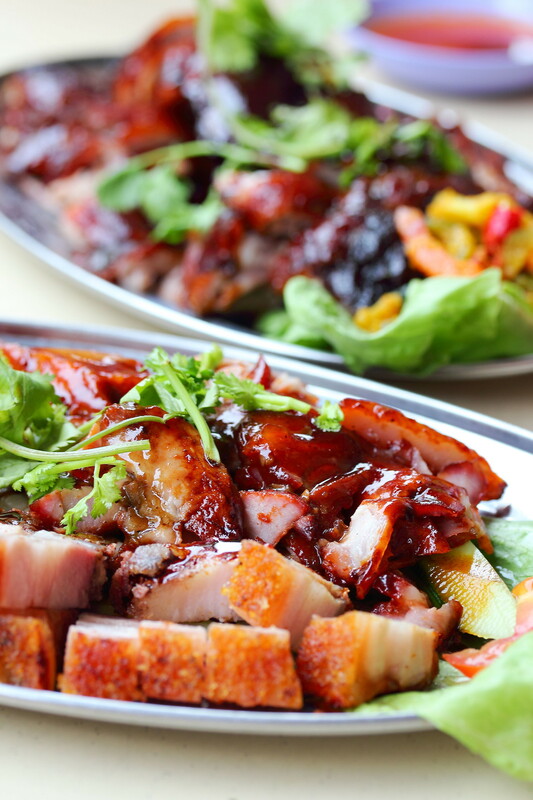 Starting with the Char Siew, we all felt that it was the weakest link. It was on the dry side and was too sweet. Moving on to the Sio Bak, it was much better. Although it was not just out from the oven, the skin still retained the crackling crispy. The meat itself was still moist and succulent too. For those that has a more picky tongue will find that this is only above average. There is still rooms for improvement. The star at Siang Yuen has to be their Roasted Duck.The duck skin was roasted to a thin crispy somewhat like having suckling pig's skin with a nice lay of fats underneath. The meat it was really moist and succulent. 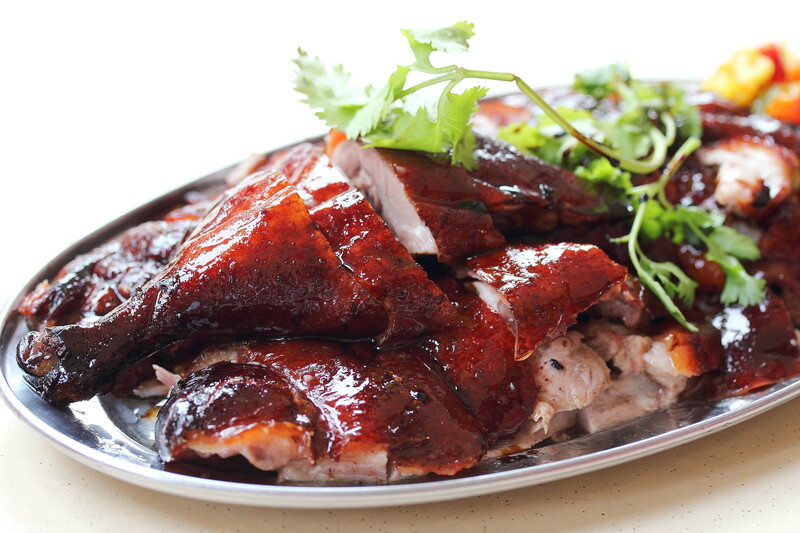 It is one of the best roasted ducks I have eaten so far. Worth to note is also the nonya achar which is also very good. It helps to cut all that fatness from the roasts. The stall is run by a couple (Uncle Joe and Pauline) who is very friendly. The chef is from Penang, Malaysia. 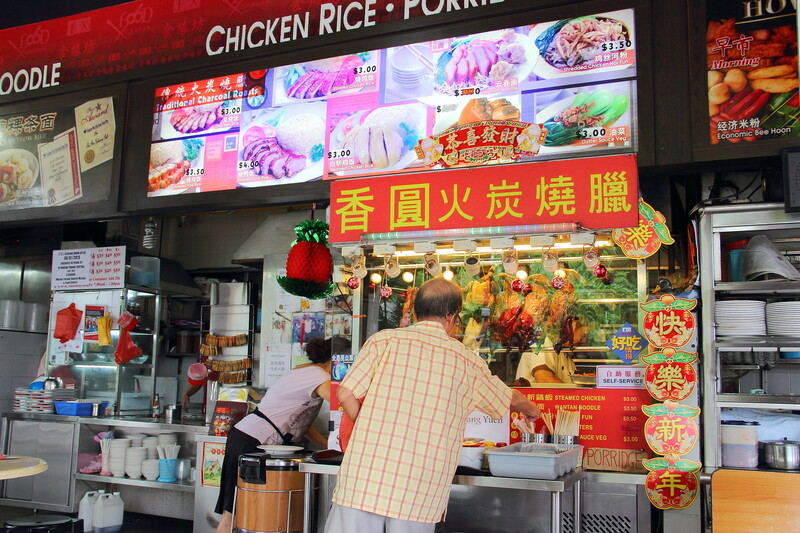 That used to have a stall in Tamn Century Johor before moving to Toa Payoh and finally relocated to the current location at Jago Close coffeeshop. All the roasts are done at the stall using charcoal fire. 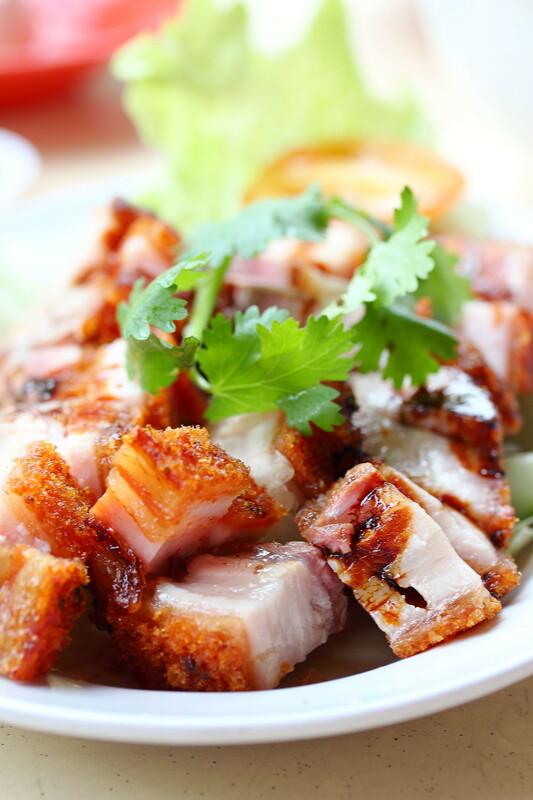 You can order rice, noodles and kway teow to go with your roasts too.